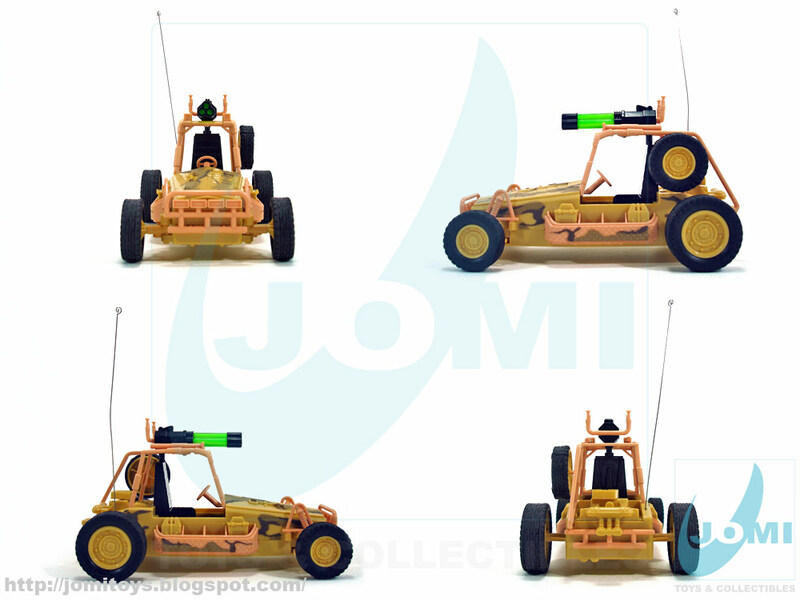 JoMi toys - under maintenance : True Heroes R/C Dune Buggy - Now with Video! It has been quite a while (just over 20 years) since a dune buggy for 3 3/4" figures was available in retail stores. 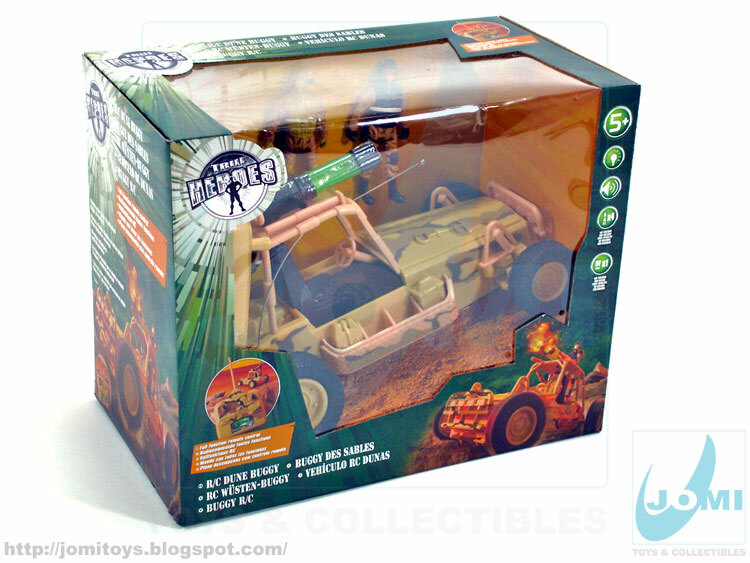 Well, TRU got that covered in 2011 with another True Heroes R/C vehicle, the Dune Buggy. While not as complex and scaled as Hasbro´s 1987 Crossfire, this toy covers the need for speed of many 1:18 fans. Fun enough and fast enough (and heavy enough) it is meant to play rather than display. 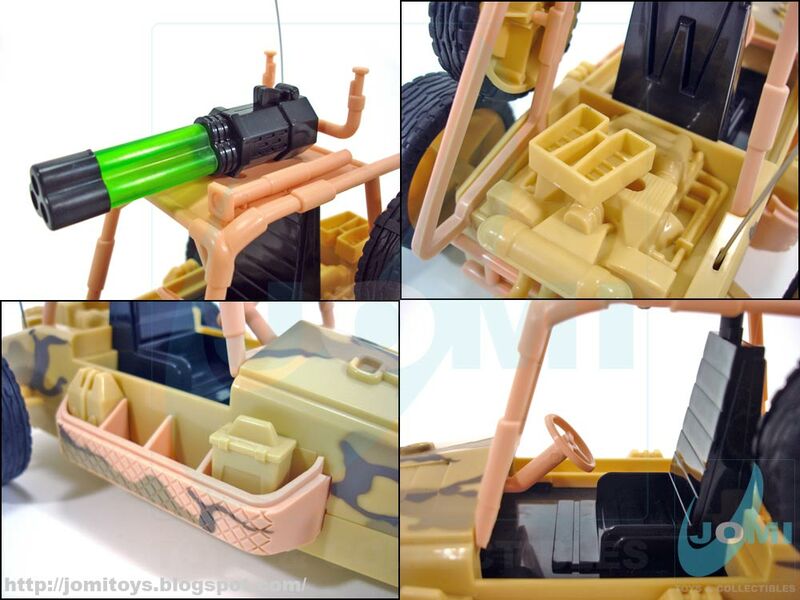 In a cool desert camo, this DPV (desert patrol vehicle) or Chenowth LSV has amazing mold similarities with Auchan´s Tactical Vehicle Playset. This R/C buggy only fits 2 figures. Full function remote control. 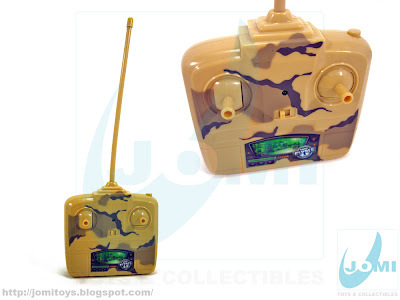 9V battery (not included). Top right corner has a button to remotely fire the buggy´s cannon thus activating light and sound effects. Very nice. Gunner can easily stand gun-ready with both feet attached to a moving stand, which allows movement and surprisingly, near-impossible fall. Both sides of the buggy have a couple of spaces for extra accessories, but 4 of the 8 slots are already full with sculpted ammo boxes and extra fuel tanks. 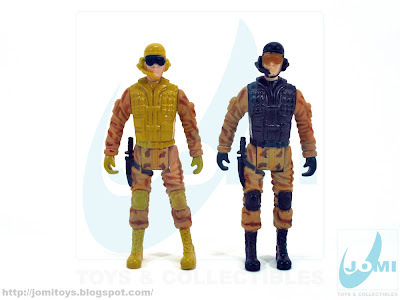 You know i just realized the other day that my Toys R Us carries a few of these toy sets i really need to look through at what they have for sale. Awesome! A customer finally brought a toy into my cafe. It was an RC car....Made by mexicans. So it was not the best but I gave him two Monster drinks anyways. I will look for this next time in the states. @hobgoblin: Do you have pictures? Thanks for looking!